“Underworld: Awakening,” Full Trailer Goes Public. | The Cineaste's Lament. ← Amanda Seyfried Cast In “Lovelace” Biopic. “Underworld: Awakening,” Full Trailer Goes Public. Here’s the full theatrical trailer for the latest chapter of the Vampires v. Werewolves saga starring Kate Beckinsale. Apart from affording fanboys the opportunity to see Ms. Beckinsale in skintight leather, I’m not entirely sure why this franchise continues to exist. But perhaps the former is a powerful enough justification in itself. Or perhaps not. The new movie, which hits theaters in January, is also filmed in 3D. 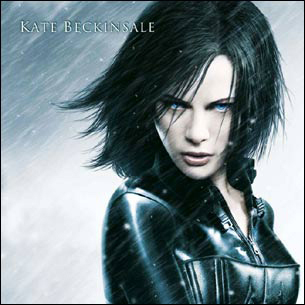 This entry was posted in action, Film News, Horror, Spoiler-itis, Trailer Trash and tagged Kate Beckinsale, Kate Beckinsale in sklntight leather, Underworld tralier, Underworld: Awakening trailer. Bookmark the permalink.